One of the best ways for bloggers to get better at their craft is to follow the example of those who are at the top of their game. I’ve been privileged to work with some amazing bloggers. I’ve also spent years analyzing some of the most successful people in the industry. Here are some of the most outstanding characteristics of these bloggers. These are examples worth following. 1. 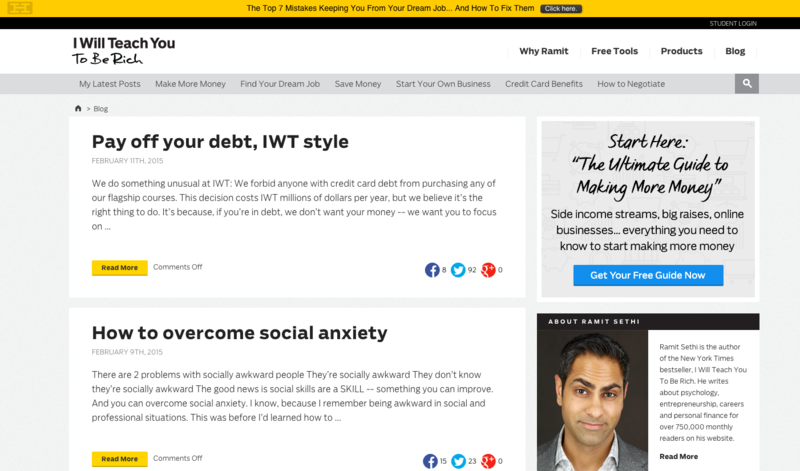 World-class bloggers focus on being productive. Use the right tools. Tools like Trello cut the complexity from planning tasks and make it easy to manage a multilayered project like blogging. Find your roadblocks. Understand the events, people, or issues that prevent you from being productive. Then, remove them. Follow the right systems. Everyone has different systems for productivity. Whether you follow Getting Things Done (GTD) or Pomodoro doesn’t matter. What does matter is that you have a method for accomplishing tasks and staying productive. I believe that the foundation for becoming a world-class blogger is formed by becoming highly productive. Once you build this foundation, you’re ready to soar. 2. World-class bloggers get help. Marketing manager/CMO, etc. If you run a corporate blog, you’ll need the input of the higher-ups to make sure you’re on track with your objectives, tone, etc. These people will probably provide some general oversight in creating an editorial calendar and setting KPIs. Designer. 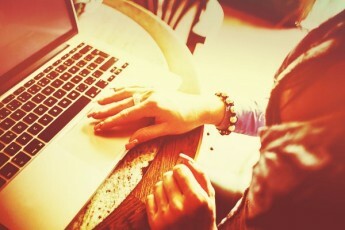 From the start, a designer plays a crucial role in a successful blog. A blog design does more than look cool. It fulfills a crucial function – usability, readability, and engagement. A designer also can participate in creating graphics, charts, tables, or other visual material to enhance the blog. Copy editor. 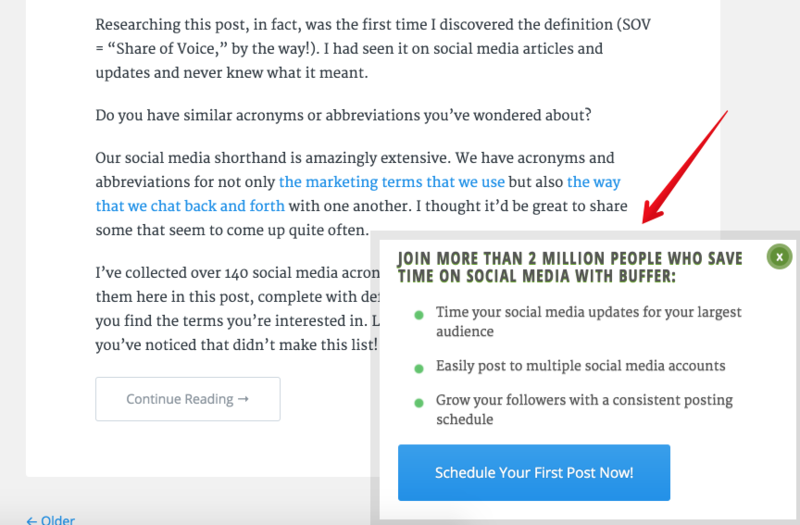 One of the best things I’ve done is use a capable editor to improve my blogging. I do the main writing, but my copy editor comes along to improve little things and fix errors. Proofreader. Some copy editors are proofreaders, but I recommend getting a second (or third) set of eyes on your work. A professional proofreader will make sure that you seldom publish a typo. Website manager or editor. When it comes time to hit the “publish” button, there’s another layer of help that comes in handy – the website manager. It takes a little bit of effort to take your blog from Microsoft Word or Google Drive and put it into WordPress or your CMS. A good editor can take care of this for you, including formatting, image resizing, adding meta information, etc. One great example of this is Ramit Sethi. His blog, I Will Teach You To Be Rich, has a regular output of highly engaging, personal, image-rich, and information-packed articles. Although Ramit writes from a first-person perspective, he openly acknowledges that a lot of people have a role in enhancing the content. You may have different sources of help, but the important thing is to use all the help you can get. Blogging is demanding work. To improve your game, use the talent of others. 3. World-class bloggers follow a routine. Great bloggers are creative people. We tend to think that the most creative people are wild, unpredictable, irrational, and out of control. Actually, the opposite is true. Creativity is born of predictability and routine. That’s why world-class bloggers are committed to a schedule backed by routine. When people follow a routine, they are doing two smart things. First, they are making space available in their minds to become creative. It takes mental energy to make decisions and do creative work. Routine removes the need to make decisions, thus allocating more brain energy for creativity. Your routine needs to be different from your other activities. Uniqueness is a key feature of routine. If you do your routine in conjunction with other tasks, then your brain doesn’t associate it exclusively with writing or creativity. It loses its power. Make your pre-writing routine different from anything else you do. Your routine needs to be easy to do. Don’t make your routine a hurdle. Some creatives find that a morning commute is a creativity killer. You should be able to easily slip into the routine. Your routine needs to be consistent. Repetition aids learning and consistent routines aid creativity. 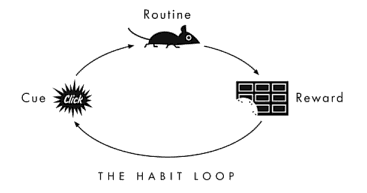 The more you follow your routine, the stronger the neural signals become in associating the routine with creative habit. I have a pretty set routine, simply because it is my job (that I also happen to love) – but that doesn’t mean I don’t also have lots of random things I need to do here and there, which I squeeze in with I can with three little kids. I typically write in the morning, since that’s my brain’s best time, and then I’ll fill in the gaps with tasks that don’t take as much brain power for me. You can read her detailed routine and 13 other routines at ProBlogger.net. 4. World-class bloggers follow a schedule. Just as a routine is essential for sparking creativity, so is a schedule essential for maintaining production. 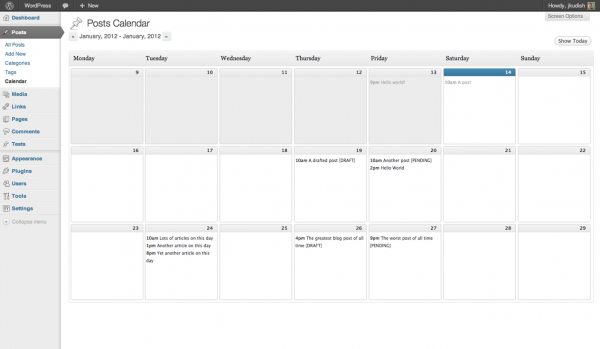 Many bloggers rely on an editorial calendar to help them plan their content schedule. 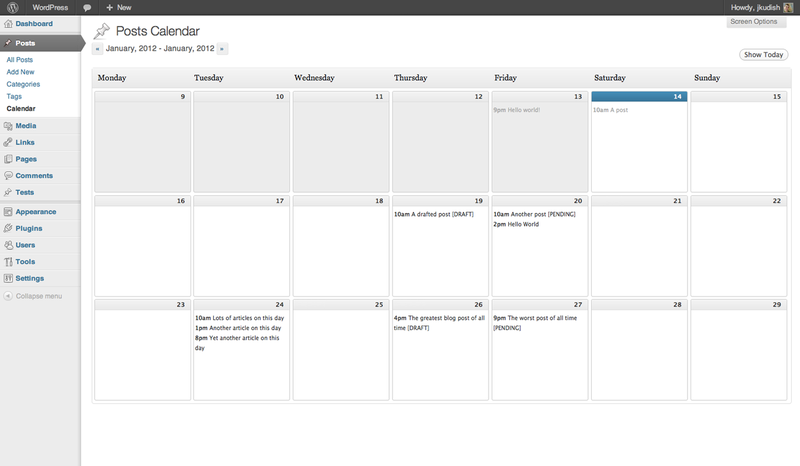 You can create an editorial planner or you can use a simple calendar to keep you on track. With a schedule in place, you avoid surprises, panic attacks, and the need to put out fires. A schedule gives you a clear look into the future. You learn how you need to structure your day or your week to complete the work in the allotted time. The editorial calendar is a crucial component of a content strategy that keeps you both productive and engaged in your work. As you create your schedule, aim for at least weekly output. 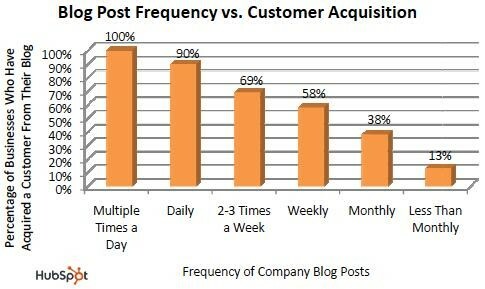 The higher your frequency, the greater your ability to acquire customers, readers, engagement, and blog interaction. 5. World-class bloggers understand their best times for creativity and productivity. We find our most creative moments when we’re not working. Activities like showering, exercising, sleeping, or running tend to be those “aha” moments of sheer creativity. The morning is a great time to write because we have a full tank of willpower. Creativity tends to be high in the morning because of the higher levels of energy and freshness. Writing in the evening allows us to work without distraction. Plus, we have more ideas and experiences in the past day from which we can draw. Check out the infographic for more details on my findings. My main takeaway was this: The best bloggers know their personal best time for writing. They make writing part of a routine and daily habit. It becomes second nature to write and to write more effectively. 6. World-class bloggers listen to audience feedback and respond accordingly. Blogging is a conversation, not a monologue. This is one of the great innovations introduced through Web 2.0 and social web trends. The Internet isn’t a place for mere broadcasting, it is a setting for human interaction. Social media is a powerful tool for listening to audience feedback. A successful blog is augmented by social media promotion. What happens after it’s promoted? As the blog goes on a journey around the social media orbit, it takes on a life of its own. People share, comment, “like,” retweet, “plus,” discuss, and interact with the content. What should the author of the article do? She should listen. This is the place for social listening — being aware of and responding to the social media conversation. For a survey of social media monitoring tools, check out this infographic from KISSmetrics. You can also check out a roundup of 10 free social media monitoring tools identified by Brandwatch. 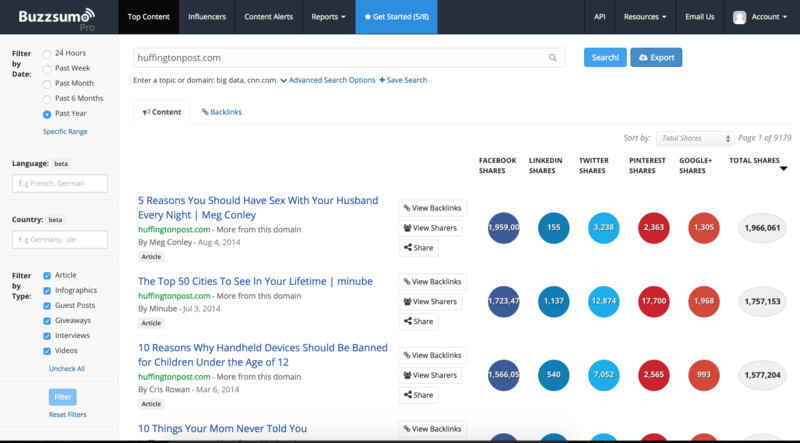 One helpful way to assess social media engagement is to use a tool like Buzzsumo. 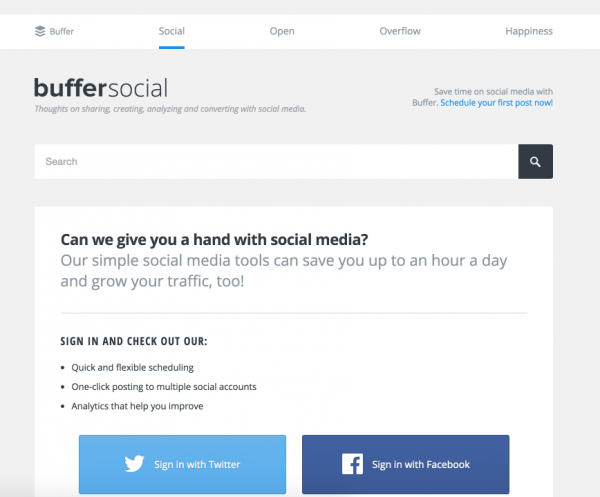 It identifies the most-shared content and key influencers in any niche. 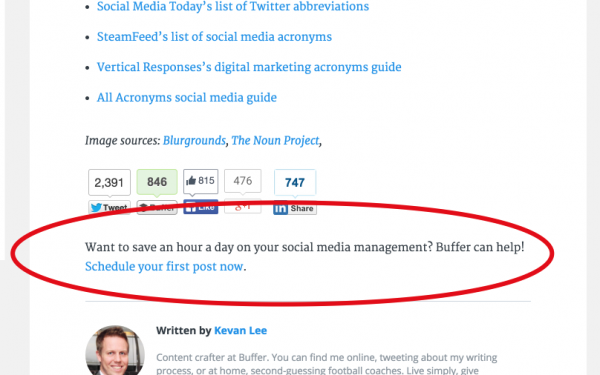 At a glance, a blogger can see which of his articles received the most social media attention. 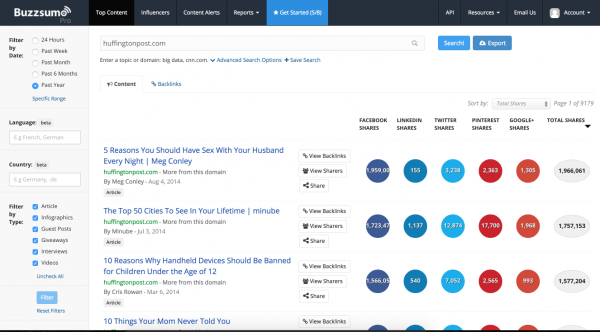 Using Buzzsumo, bloggers also can also identify the most popular content on their competitor’s blogs. 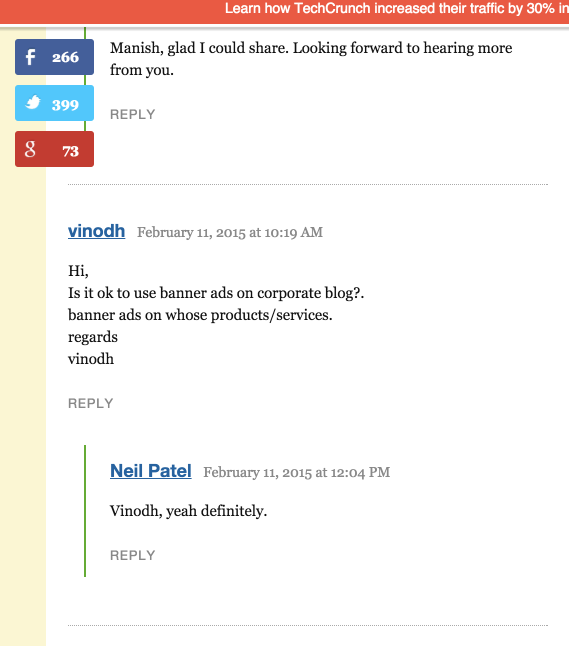 Of course, one of the most straightforward methods of listening is your blog’s comments. Comments allow you to listen to what a reader says (or asks) and respond within the blog platform. I make it a point to respond to as many blog comments as I can. In my opinion, responding to comments is a responsibility that a blogger takes on when he or she chooses to publish an article. Listening to and responding to comments shows your readers that you’re engaged, and that you truly want to help. 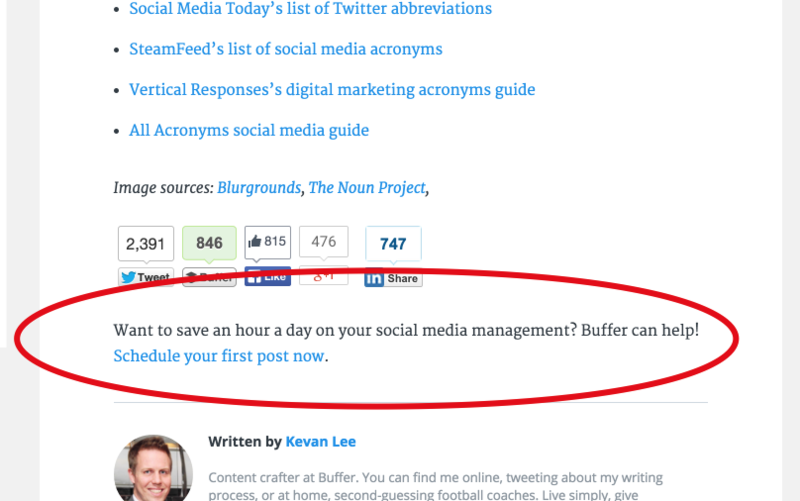 Here’s an example of a Buffer blog post. The author, Bryan, is keeping up with the comments. 7. World-class bloggers analyze their blogging objectives. All the blogging in the world is useless unless you back up and look at the big picture: Why are you blogging? No, really, answer that question. Try to come up with an answer somewhere between – “It gives meaning to life” and “Because it pays the bills.” Behind every blog is a purpose for existence, and that purpose is going to be different for every business. Take Noah Kagan, for example. Noah is a world-class blogger with a killer following. His blog is jammed with really awesome information. Why is Noah doing this? Is it out of the kindness of his heart? Yes, but he has other reasons, too. Noah is a marketing genius in addition to being an all-around good guy. 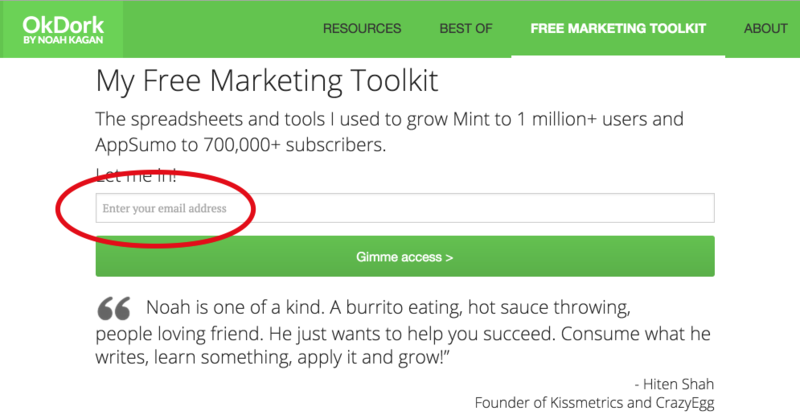 Along with this helpful information, he wants you to get his free marketing tool kit. How do you get the free marketing tool kit? You give him your email address, of course. Your email address becomes part of Noah’s next marketing move. Don’t worry; it’s nothing sinister, but now he has you where he wants you. Plus, you’ve got some great stuff coming your way, too. It doesn’t take long to figure out the whole point behind Buffer’s blog: to get sign-ups for its social media management tool. I’ve shown you these examples to make a point. World-class bloggers both understand and analyze their blogging objectives. For them, blogging is not just shoveling more content into a black hole. They blog because they want to change a user’s behavior. They look at their blogging output alongside organic traffic, their keyword rankings, brand awareness, social media reach, conversion rate, and overall revenue. That’s what I mean by “objectives.” Blogging serves the business’ objectives. To blog effectively, you should both know what those objectives are and know how you are succeeding in accomplishing those objectives. As it turns out, world-class bloggers do more than just write content. They look at their job with a broad lens. There’s more to blogging than content. To sum it up, here’s what I’m learning from other world-class bloggers, and what I think you should learn as well. Learn to seek and accept help with your blog. Learn to create a routine that inspires your creativity. Create a schedule that keeps you on track. 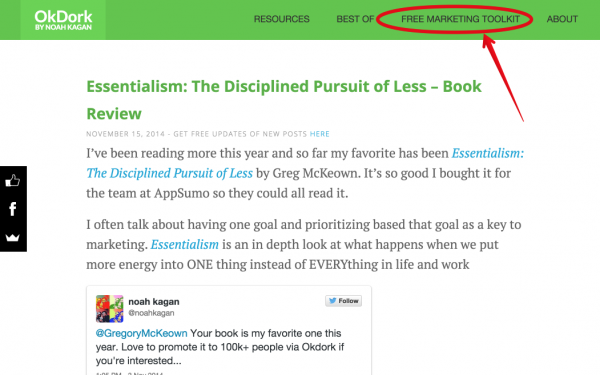 Identify your zones of peak productivity and use them for blogging. Pay attention to what your audience is saying and respond. Look at the big picture – the whole reason you’re blogging. If you really take on this set of best practices, I think you’ll start to see an incredible improvement in your blogging efforts. Pick one and put it into practice today. I’d love to hear how it goes. What are some traits of world-class bloggers that you’ve noticed?